A parent’s worst nightmare is losing a child. This horror is reality for the Spohr family. Heather and Mike Spohr’s daughter Madeline Alice Spohr passed away while in the hospital on April 7, 2009. More about sweet little Maddie can be found on their website with details about how to help the family. The blogging community has gotten together to go purple in honor of Maddie’s life. 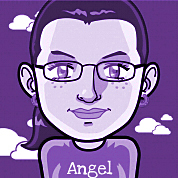 My Twitter page is now purple as is my avatar (thanks to Lotus Carroll of Sarcastic Mom for that). Many people are also grouping together to walk for Maddie Team in local March of Dimes walks all over the country. 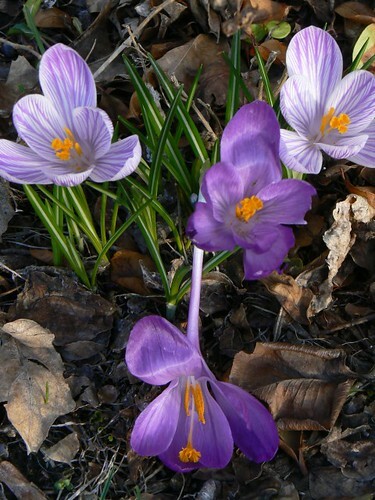 Today I am wearing purple for Maddie and thought it was fitting that the sign of spring on our front lawn is a group of dainty purple flowers. My thoughts and prayers are with Heather, Mike and the rest of their family during this extremely difficult time. My hear is just broken for this family. Oh I’ve been seeing the purple all day…so so so sad. What a gut-wrenching thing. i saw that too. oy…..my heart goes out to them.